The first practice session in Shanghai was a stop-start affair, with two red flags during the ninety minutes of running. 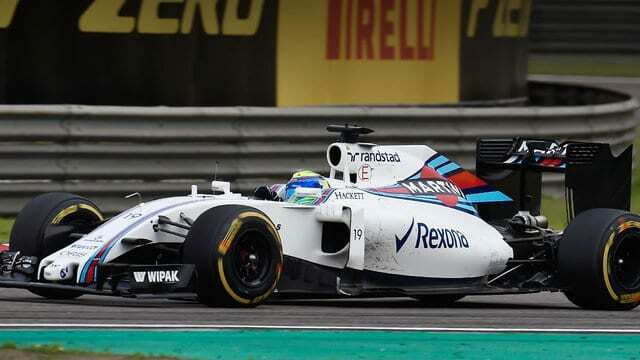 The first came after Felipe Massa’s rear left tyre punctured, and tipped his Williams into a spin through the gravel. After recovering to the pit lane, Massa headed out again and the exact same issue happened a second time – the team realising they’d made an error somewhere and patching him up for some flawless running in the afternoon. The second red flag in FP1 was for Kevin Magnussen, who also had a tyre failure, this one causing a lot of damage to the Renault and halting his running for the day. Elsewhere, Rosberg led Hamilton in the morning, whilst Räikkönen and Vettel headed to the top for FP2. Esteban Gutiérrez had electrical issues first thing, and headed into the pit lane in the afternoon with his brakes on fire. Fernando Alonso finished the day 11th after the FIA said he could continue after FP1 – the Spaniard admitting he would be managing his pain through the rest of the weekend.